AYSO runs on the power of our volunteers and with over 100,000 parents, neighbors, relatives and friends lending their time and talents, each child gets a terrific AYSO experience. Help make a difference in the lives of the kids in your community today! 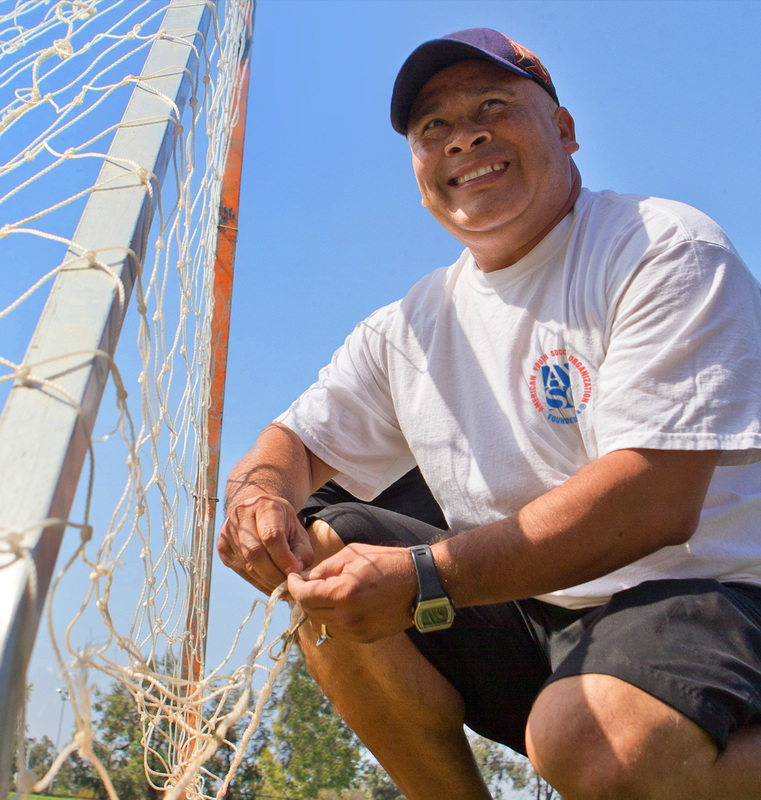 AYSO has developed special training to help volunteers who may have little or no soccer experience quickly gain the age-appropriate knowledge and skills they need to become outstanding coaches. To become an AYSO coach, you must be certified in the age level you will be coaching. 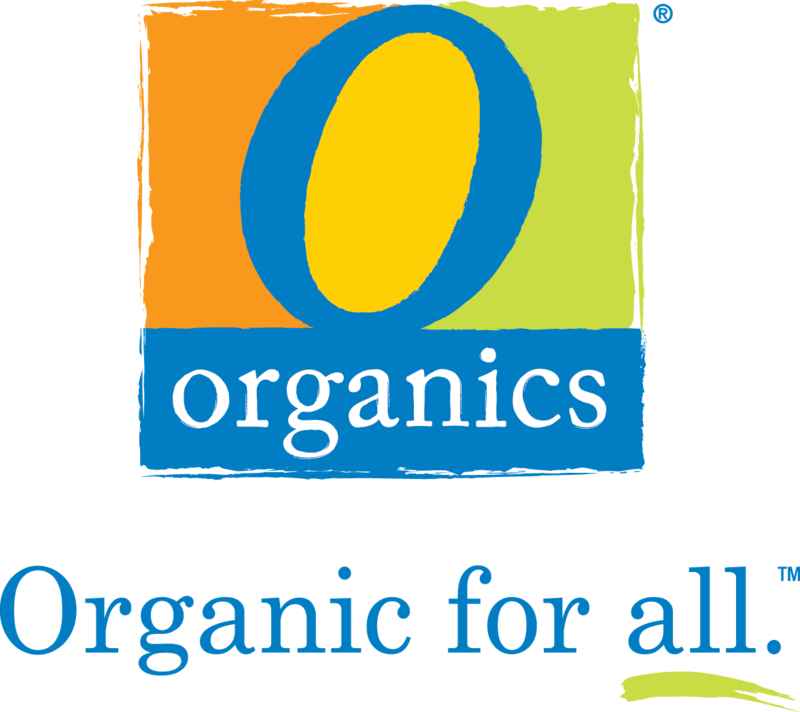 Certification takes three easy steps. First, contact your local AYSO’s Regional Commissioner. You will then be asked to fill out a volunteer form. AYSO has the training you need! Once you are registered as a volunteer, you will be asked by your Regional Commissioner to either attend a short Safe Haven™ course in person or online. Once you are registered as a volunteer, your Regional Commissioner will ask you to take a age-specific coaching course. We offer online support including e-learning courses and supplemental Coaching Manuals to help you with training plans and activities for all AYSO programs and age groups. "Everybody has a talent, but its what you do with that talent to make it great." The referee’s job is to be the official in charge of the game. A referee’s authority extends to everyone at the field, including players, substitutes, team officials, spectators, and even assistant referees. 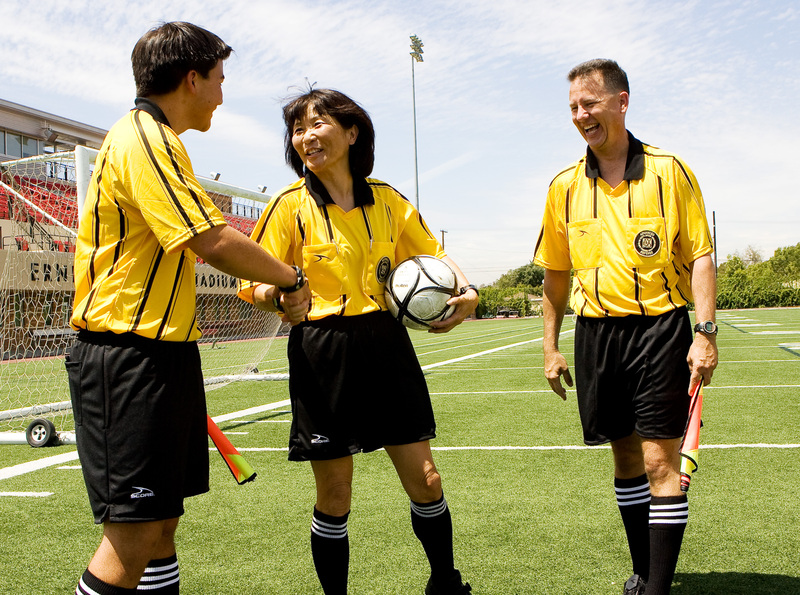 AYSO Referees keep the game safe, fair and fun for everyone: the players, the coaches, the spectators, and themselves! Your local AYSO Region will provide you with online learning, downloadable age-specific Referee Manuals and more. You will be required to register for an in-person Regional Referee course, or an optional two-part online course. "When people succeed, it is because of hard work. Luck has nothing to do with success." 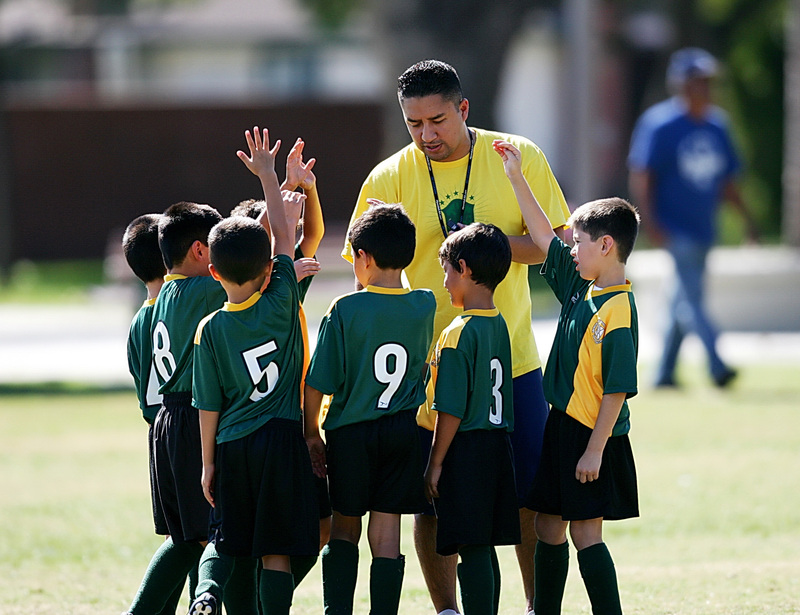 AYSO has developed special training that helps parents who may have little or no soccer experience quickly gain the age-appropriate knowledge and skills they need to be effective coaches and referees, plus unique administrative and management training. Contact your local AYSO Region to learn more! 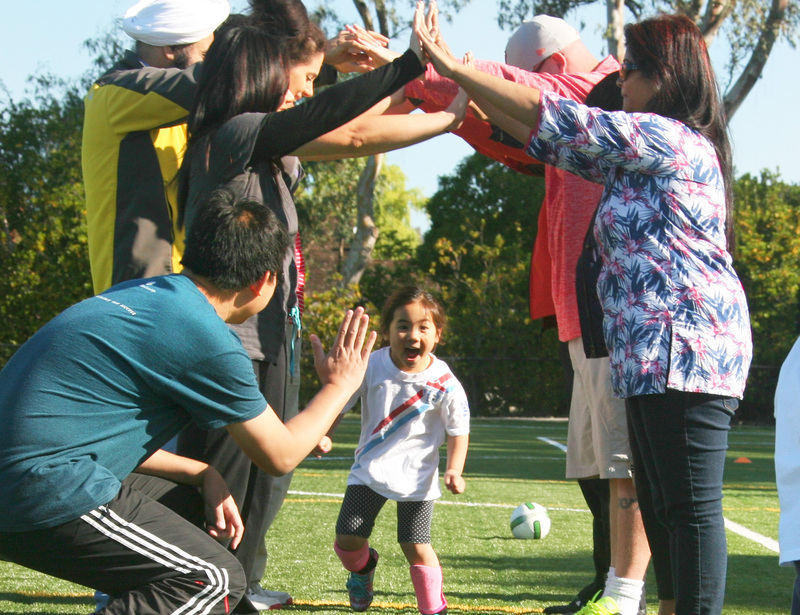 AYSO training doesn’t need to stop, as long as you’re having fun! Referees, coaches, and administrators can all enjoy online training, soccer clinics, camps, retreats, workshops and other advanced training options that are available to the entire AYSO community. Every AYSO Region is led by a team of administrators and a Region Board who help with strategy and implementation of creating a great soccer program for your community. If you are interested in serving in these important volunteer positions, contact your local AYSO Regional Commissioner today! Click here for a list of possible AYSO volunteer positions available to your area. Contact your local AYSO Regional Commissioner to find out which specific roles they are recruiting for. Your local Regional Commissioner will help you find the best role for you after a conversation and the appropriate e-learning courses. "Before kids can play like a pro, they must enjoy playing the game like a kid."